Halloween Treats Overload and Tips to Deal with Excess Candy! Halloween Treats are everywhere! It’s the nightmare after Halloween; a time when you must deal with candy, all of that extra candy; you would normally never touch or think of buying! It’s everywhere, especially when everyone is trying to get rid of their overload stash! You might have miscalculated your Halloween candy needs, possibly deliberately! You might have purchased a few bags of candy, knowing you rarely get trick-or-treaters, and are feeling slightly guilty! Your kids got a huge stash which you have access to. Sneaking is acceptable for your favorite candy bars! 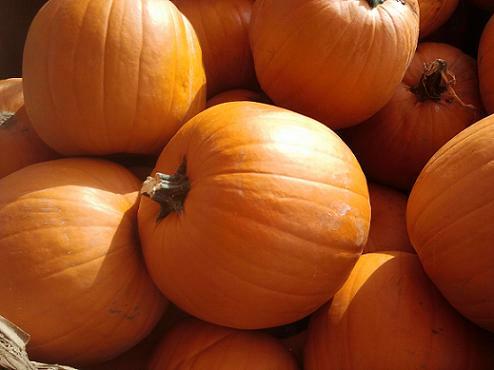 You could not resist the half off deals at your market the day after Halloween! You might be an innocent bystander, who did not purchase candy, but is surrounded by candy rejects, at work or school! Let your kids choose a number of treats on Halloween. Decide this number beforehand. Place the remaining treats in a giant bowl to be controlled by you. Dole out treats after lunch or dinner for one week. Then throw the rest away. All that is left is the candy you don’t love. Who wants to gain weight on candy you don’t even like? Let your kids’ trade with one another for a certain amount of their favorite candies. Dole these out slowly over the week. Often times one kid gets tons of another kids favorite and vice versa. Throw the remainders out. My friend always did this with her kids, and it was so fun to watch the kids thoughtfully trading! Let your kids choose 3 treats per day for a week and then pitch the rest! Let your kids eat their favorites on Halloween with no limit, and then set the limit of three treats per day for the next week. Pitch the rest at the end of the week. This never worked for my kids, because they could eat until they were sick! Our last name is Bacon, and we have a bit of piggy gene in us! Eat your fill on Halloween or just a few pieces, and then dump it all! Develop some sort of candy buy-back program with your kids after Halloween. Maybe take them to the toy store and let them trade their candy for a new toy or whatever they love. I love this idea! Box up your extra treats and donate them yourself to be sent overseas to the troops! This will mean a lot, a touch of love from home! Get your kids involved and have them each write a note to a troop, with their Halloween fun story! Freeze the extra small chocolate candies to use for Christmas treats and baking! You will need to hide them well in your freezer for husband scavengers! Get creative! 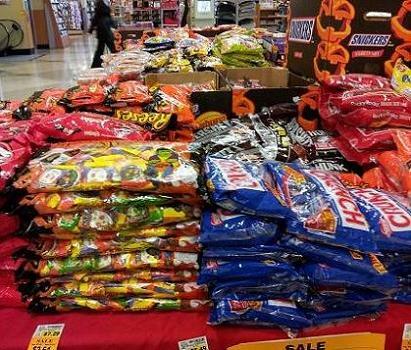 Do not get lured into buying more candy after Halloween that is conveniently marked down in price! Close your eyes and slowly walk away! Halloween candy sales are not a deal! The healthy diet habit here is to have a Halloween candy plan, sounds like an evacuation plan, and in a way it sort of is. No one wants to end up with cavities, feeling poorly from all the sugar and additives in candy, feel cheated when their candy is pitched, or gain several pounds from eating excess amounts of candy! Do not send leftover candy to your husband’s work, or take it to your work! Your friends may seem to enjoy it, but you are causing them to practice mindless eating! There are way too many Halloween treats around lunch rooms at this time of year. 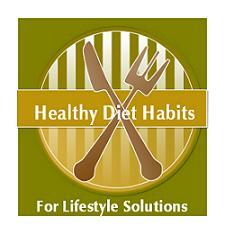 It is a huge struggle for many people because candy is a serious trigger food. Practice kindness! Do not donate candy to homeless shelters in massive quantities. There is just something wrong about donating unhealthy food that you will not eat to shelters! Do not send leftover candy to your grown children, because you can’t stand to throw it away! My mother has actually mailed all of her leftover candy to me for my kids to enjoy! I pitched it, and was not considered a good mom that day! It cracks me up she did it though! Being surrounded by tons of Halloween treats is not a fun place to be and can bring on conflicting emotions. Sugar tastes good, but it has additive properties, and causes cravings later on, as well as guilt. End the struggle before it starts. Buy only what you need, clear out your kids candy quickly, and walk away from those sale aisles. It’s not a deal if it causes added weight gain and guilt down the line!